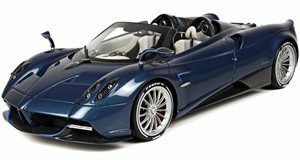 The Pagani Huayra Roadster may have a new American rival. 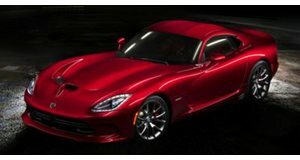 Sports car enthusiasts everywhere are mourning the death of the Dodge Viper, which officially ends production this year. The last batch has also already sold out. Happily, its spirit will live on in the VLF Force 1 supercar. First revealed at Detroit last year, the stunning supercar is being co-developed by legendary car designer Henrik Fisker, former General Motors chairman Bob Lutz and regular Viper racing driver Ben Keating. Now, the VLF Force 1 is about to get a new roadster sibling, shown for the first time in these initial teaser images. Little has been revealed, but both the design sketch and what appears to be a photo of a prototype suggest the VLF Force 1 roadster will have a retractable cloth roof. No specifications have been revealed yet, but it seems likely that the VLF Force 1 roadster will adopt the same naturally-aspirated, 8.4-liter V10 engine as its coupe sibling. That means we could be looking at a 745-horsepower convertible capable of reaching 0-60 mph in around three seconds and a top speed of 210 mph. Potentially, then, this could be a rival to the phenomenal Pagani Huayra Roadster, although the extra weight of the convertible means it will be slightly slower off the line than the coupe equivalent. Power in the VLF Force 1 coupe is sent to the rear wheels through either a six-speed manual gearbox, or an optional six-speed automatic paddle shifter setup, so expect the same options to be available in the convertible. 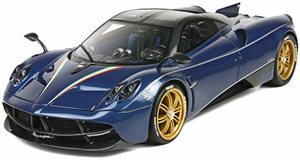 Standard equipment also includes 21-inch wheels wrapped in Pirelli P Zero tires, Brembo performance brakes and a lightweight carbon fiber body construction. The VLF Force 1 roadster is expected to be revealed at the Shanghai Motor Show next month, with sales to follow soon after. Prices are due to be announced in May.